Design and build Web APIs for a broad range of clients-including browsers and mobile devices-that can adapt to change over time. 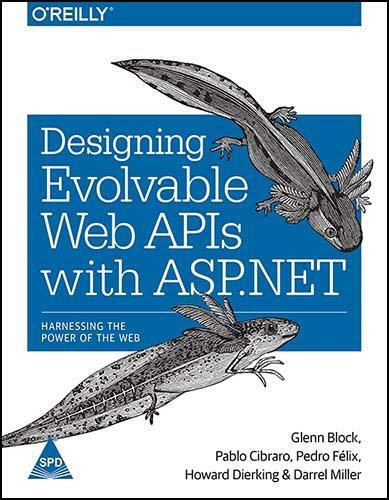 This practical, hands-on guide takes you through the theory and tools you need to build evolvable HTTP services with Microsoft's ASP.NET Web API framework. In the process, you'll learn how design and implement a real-world Web API. Ideal for experienced .NET developers, this book's sections on basic Web API theory and design also apply to developers who work with other development stacks such as Java, Ruby, PHP, and Node. Pablo Cibraro is an internationally recognized expert with over 14 years of experience in designing and implementing large distributed systems with Microsoft technologies and a Connected System MVP. Pedro Felix is a software engineer and a professor, working in sunny Lisbon, where he deploys both code and knowledge. Howard Dierking is a Microsoft Program Manager on the ASP.NET team where his current focus areas include NuGet and the Katana project. Darrel Miller is co-founder of Tavis Software, a software solutions and services company specializing in the manufacturing sector.